Microsoft confirms price cut on Xbox 360 Elite | What Hi-Fi? But in a surprise move, the Arcade SKU version rises from £129.99 to £159.99. The Xbox 360 Pro with 60GB hard drive is to be phased out. And in order to cut the cost of the Xbox Elite, it no longer comes with an HDMI cable included as standard, "allowing buyers to pick the HDMI cable of their choice", says Microsoft. Good for HDMI cable manufacturers, not so good for customers. Microsoft's moves come in the wake of Sony's announcement of its new PS3 Slim console, which goes on sale in September for £249. "With the Christmas season right around the corner, it's already time to start looking for entertainment and gifts that everyone will enjoy," says Neil Thompson, senior regional director, entertainment and devices division, Microsoft UK and Ireland. "We have a goal over the next 18 months to re-invent entertainment in the living room and we want to ensure we have the right foundations in place for our consumers to make simple, informed choices around their enetertainment platform. "We know that price is a critical influencing factor in consumer choice, but we also know that consumers across Europe are looking for value, benefit and entertainment experiences, so we need to address all these points to continue to grow and succesful in Europe." Earlier this year, Microsoft confirmed its Zune video service will be available on the Xbox 360 from this autumn, as well as Sky Player, Sky's online TV service. 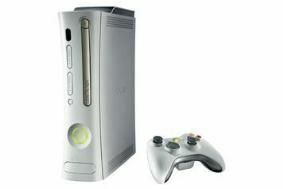 Full details of the US Xbox 360 price cuts can be seen here.